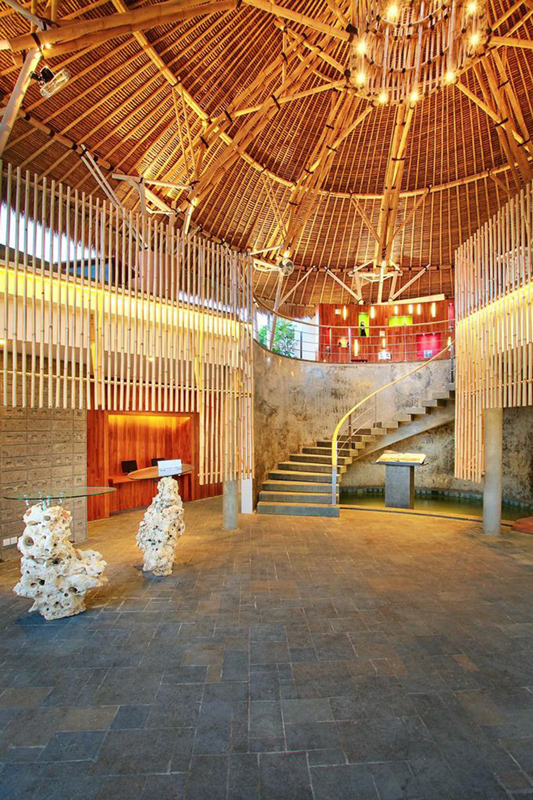 The striking bamboo reception and dining area. The exterior of a delMango Villa. THe lush gardens of delMango. Cool grays color this delMango bedroom. 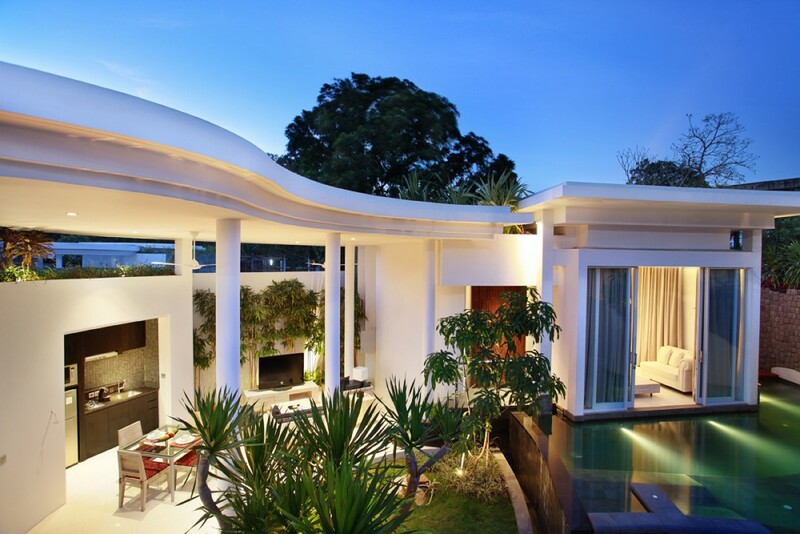 White-stone roofs and asymmetrical lines define Bali’s latest Design Hotel, the delMango Villa Estate in Seminyak. 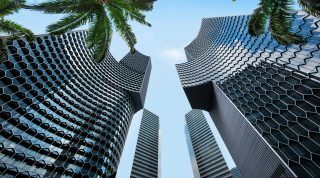 Designed by Japanese architect Nobuyuki Narabayashi, formerly of Super Potato, and Balinese architect Yoka Sara, the duo achieves a modern, structured aesthetic with hints of Balinese styling. 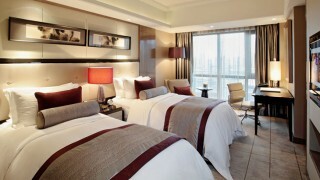 Fourteen airy villas range from one to three bedrooms with floor-to-ceiling windows and cream furnishings. 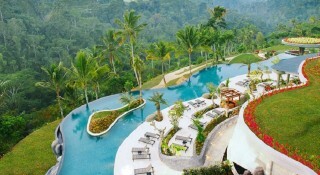 Budding gardens and chlorine-free pools flank the villas’ patio. 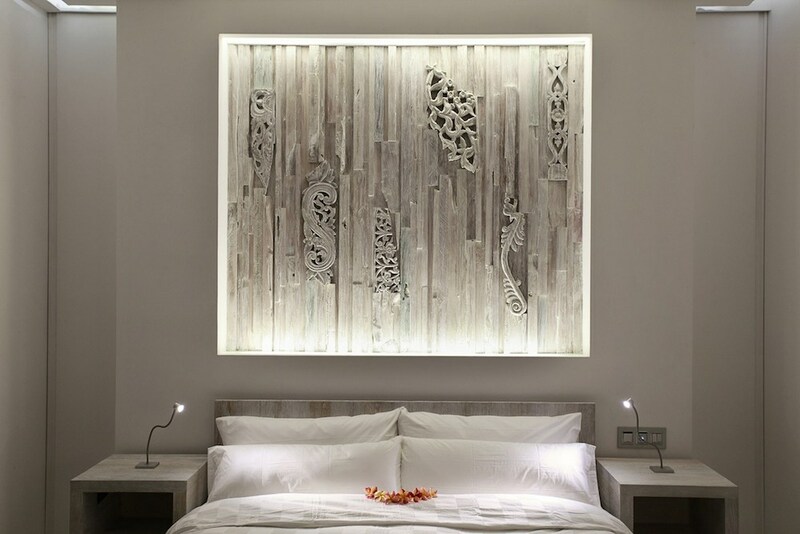 The delMango Villa Estate is also environmentally minded, using recycled teak artwork in the bedrooms and natural black volcanic stone around the property. 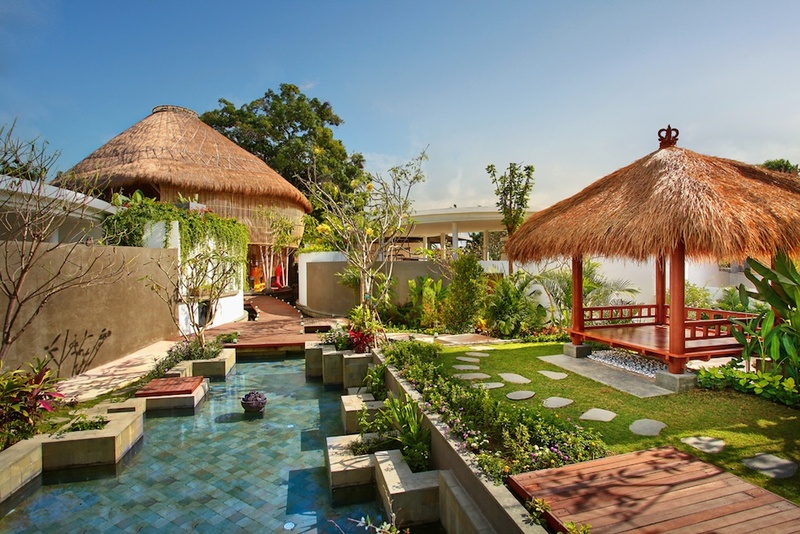 A centerpiece of the hotel is the striking circular bamboo cabana, which features the reception lounge and all-day dining inside. 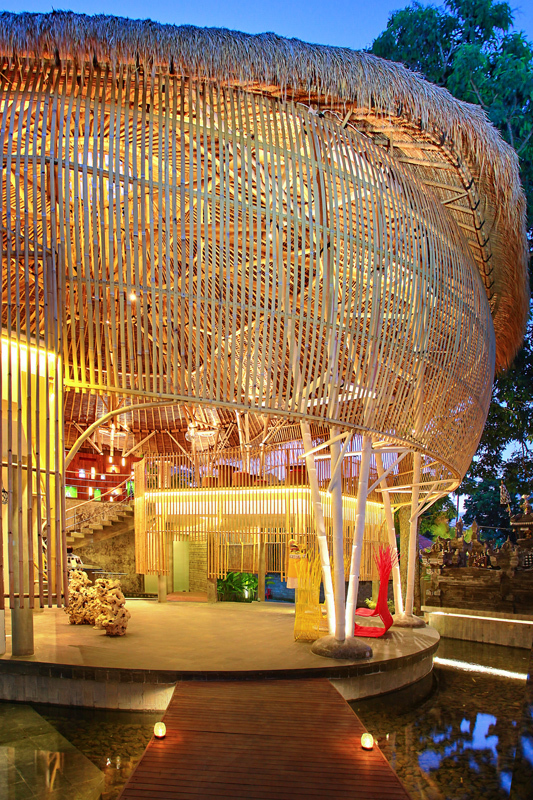 By night the space is lit to resemble a glowing sphere, with shafts of light permeating the bamboo stalks.